The Warriors Bantam T2 team had a fantastic week at the prestigious Kamloops International Bantam Ice Hockey Tournament (KIBIHT) Jan 2-6 where they played their best hockey of the season. The Warriors ended up 3-3 of the six games including the B championship on Sunday where they lost to the Calgary Canucks. Matthew Saretsky (C) was named to the Tournament All Star Team and was awarded Top Forward in the tournament with a total of 12 goals and 2 assists in 6 games. 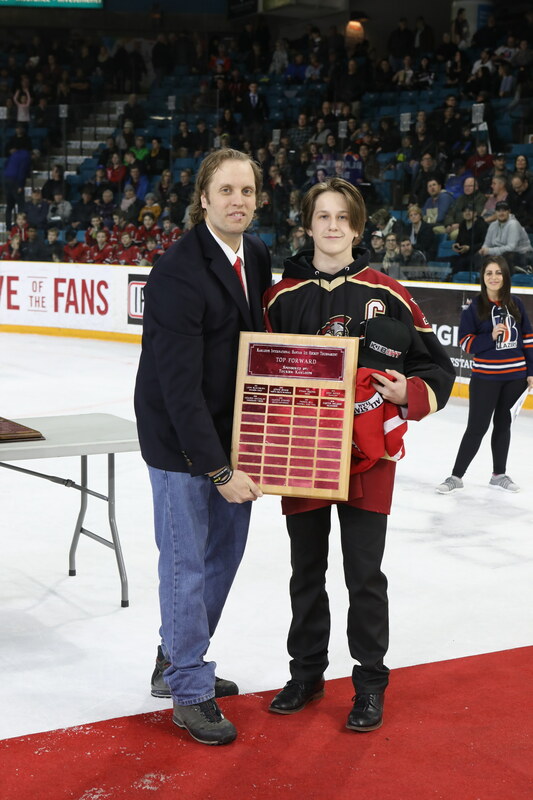 Saretsky is one of only two WKMHA players to be named to the All Star Team in the Tournaments history with Jake Harrison receiving the honor in 2013.